8×8 is a hosted VoIP service that provides cloud-based communications for more than 1 million business customers. 8×8 offers solutions for businesses of all sizes, from SMBs to enterprises. 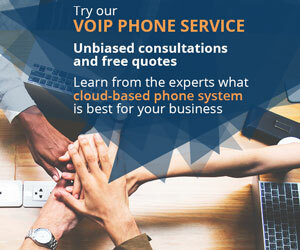 With 8×8 Virtual Office, you get more than unlimited calling, you also get video conferencing, web meetings, internet faxing, and corporate chat. It works across devices, from PCs to smartphones, so you can take your business with you. Whether you’re in the office or on the road, you’ll want a professional headset to focus your conversations and improve audio quality. 8×8 also offers a full cloud contact center service, which is a cost-effective platform for call centers. Because it’s cloud-based, management is simple and it’s highly scalable to meet growth or seasonal demands. 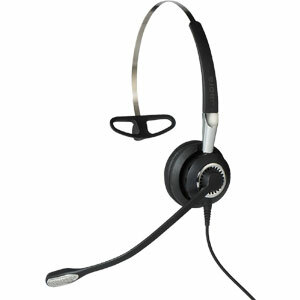 Contact center headsets need to give you excellent noise cancellation at a low price-point. It can be difficult to sift through the many headset options that would improve your 8×8 experience. Here are our recommendations! Jabra BIZ 2400 II is a plug-and-play USB headset for business. BIZ 2400 II is designed for all day comfort. 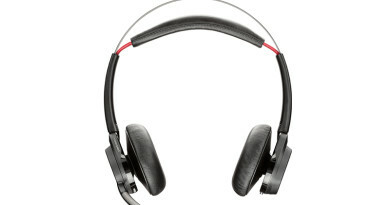 It weighs 40% less than competing headsets and has a comfortable leatherette headband pad and ear cushion. BIZ 2400 II delivers crystal-clear audio. It has a noise-cancelling microphone that’s breath-resistant on the end of a flexible boom that spins 360°. The speaker offers hi-fi sound quality using advanced digital signal processing. The headset protects the user’s ears with Jabra’s cutting-edge technology, including PeakStop, Noise@Work, and Acoustic Shock. USB connectivity means the headset is incredibly simple to use: you just plug it in. The reinforced USB cable has programmable buttons for optimizing your call control. Jabra BIZ 2400 II comes in monaural and stereo models. If you want wireless connectivity, it also comes in models with Bluetooth or QD (quick disconnect) support. Jabra Evolve 30 II meets the contact center’s need for a reliable, cost-effective, and easy to use headset. You can connect using USB or 3.5mm, a true plug-and-play solution. The in-line call controls make the headset simple to use. Evolve 30 II features a noise-cancelling microphone to clarify your conversations. Wideband audio quality means you’ll be broadcasting and receiving rich, natural sound. The speakers are rated for music reproduction, so you know the sound quality is excellent. 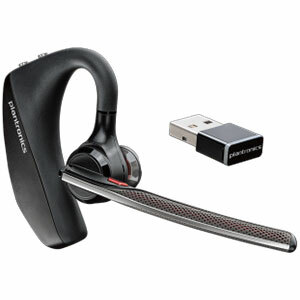 Plantronics Voyager 5200 UC is a professional Bluetooth headset that hooks over your ear. Simple to operate and extremely light, you’ll hardly notice it’s there. You can connect directly to your mobile device using Bluetooth. It also comes with a USB dongle, so you can connect to a computer. For such an unobtrusive device, Voyager 5200 UC packs an incredible speaker, giving you full wideband audio. And you don’t need to worry about charging it, because it has 7 hours of battery life. Voyager 5200 UC is designed to be used anywhere, even outside. It comes with an adaptive noise cancelling microphone and Plantronics WindSmart technology, which detects the direction of the wind and responds to that information, greatly reducing background noise. 8×8 offers a mobile app, so with this headset you can get professional audio quality for your business extension wherever you are. It comes with a portable charging case that holds two full charges. The headset meets the IPX4 standard to protect against sweat and water splashes. Voyager 5200 UC allows you to use voice commands with Siri, Google Now, and Cortana, so you can control calls hands-free. A dynamic mute alert tells you when you’re talking with the headset muted. 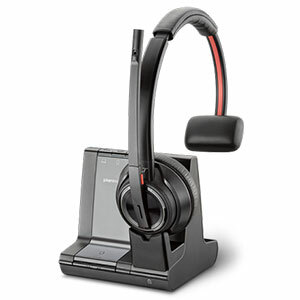 Plantronics Voyager Focus UC is designed to immerse you in the conversation. With incredibly comfortable earpads, advanced noise cancellation, and sophisticated stereo audio, Voyager Focus UC is an elite headset. Voyager Focus UC offers both active and passive noise cancellation using the three finely tuned microphones. The stereo speakers provide hifi quality audio, making it as good for music as it is for calls. You might worry about being aware of your surroundings, if the headset is so immersive. An OpenMic button lets you hear what’s around you without you even having to remove the headset. On top of that, it features sensors that will, among other things, automatically mute the headset when you take it off. It pauses music automatically when a call comes in. Voyager Focus UC gives you 12 hours of battery life for conversations. It has a wireless wander range of nearly 100ft. 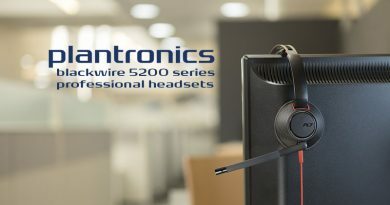 Plantronics Savi 8210 provides enterprise-class audio with an unbeatable range of connectivity options. Savi 8210 lets you connect to PC, mobile device, or deskphone, and you can effortlessly switch between them all. The headset base has the ports you need to connect to almost anything. Since 8×8 operates across media, Savi 8210 is the perfect solution for making full use of the cloud phone service. 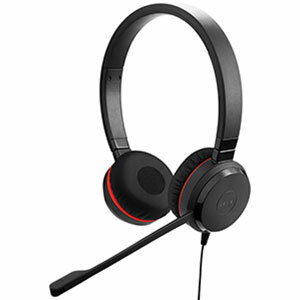 The headset is designed for enterprise-class performance. It offers active noise cancellation, including Close Conversation Limiting, so even if someone is talking right near you, your sound will be crystal-clear. Savi 8210 uses the wireless DECT protocol to communicate with its base. 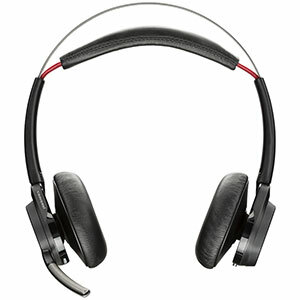 DECT lets the headset provide hifi stereo audio quality. It gives you an incredible wireless roaming range of nearly 600ft line of sight or nearly 200ft in the typical office environment, significantly better than Bluetooth offers. 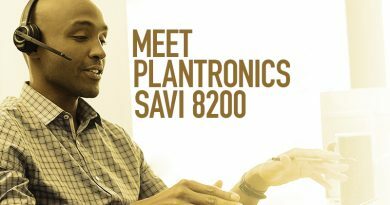 And Plantronics has made sure that Savi 8210 meets the latest standards in DECT wireless security with 8 discreet security measures. 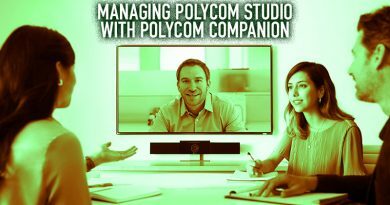 As wireless technology becomes more and more common in the office, spectrum density is becoming a real problem. If you have too many devices using WiFi, they fill the WiFi spectrum, leading to signal degradation or loss. Using a DECT headset, which operates on a different spectrum than WiFi or Bluetooth, enables you to have more headsets in one space. Savi 8210 can be used all day long, because it has a 13 hour battery life. If you prefer to have an audio alert, the base has an integrated ringer, like a deskphone. 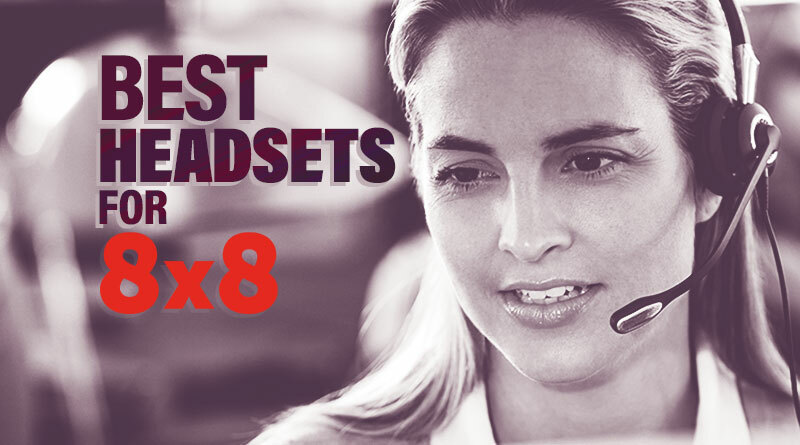 For more headsets to use with 8×8, visit IP Phone Warehouse!